I have something really pretty and really festive for us today. I hope it doesn’t send you running for the hills. When recipe hybrids are good — think pretzel croissants, cronuts, donut-looking cakes, donut-tasting muffins, brownie cookies, and pretty much everything on one of my favorite wildly creative cooking blogs — it’s usually because the two desserts that are mashed up have more in common than just cleverness, elements in each that make each other better. It was the honey syrup that convinced me that babka-meets-baklava could clear this hurdle. Syrupy finishes are common in desserts from across the Middle East and Levant. 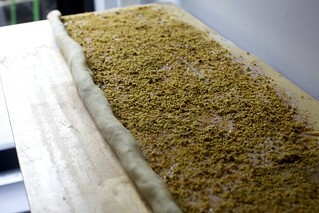 It’s the finishing soak in baklava’s crispy baked phyllo and chopped nuts layers, pulling them together. It’s the finishing, shiny soak in the kranz-style babkas popularized by Ottolenghi. And it’s what makes this buttery, nutty, braided sweet bread wreath sweet glossy perfection, and deeply baklava-like. I first spied a baklava sweet bread on the gorgeous baking blog Sprinkles Bakes in 2014. There, it’s a pull-apart bread. But I always envisioned it as a babka, and one you’d make for a festive weekend meal, and with a lot of tweaking (some for structure, some to taste) it’s even better than I imagined. Here is where I tell you that it’s not nearly as much work as those fanned and woven layers would make it seem, and you will indeed run for the hills this time, but but but I promise, it’s also really hard to mess up, and I do try my best. Most importantly, though: I hope it makes your home smell amazing. I hope it gives you an excuse to take a little break in the kitchen if you need it. And I hope you get to enjoy it with your favorite people. This recipe makes two individual loaves of babka or one larger ring-sized. I use a tube pan here; I have this one. 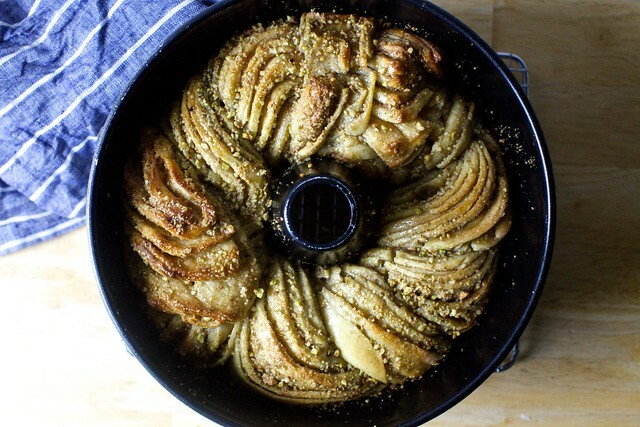 (It’s the same one I use for my mom’s apple cake cake, if you’re looking for more uses for it.) Flavor-wise, it hopefully goes without saying that baklava, depending on the place you like yours from and even sometimes the person who makes it, ranges in flavors and nut compositions. If you have a favorite flavor combination (maybe you hate cinnamon in it but love rose water), use it here, tweaking the below to your preferences. Below are mine. I also hope it goes without saying that baklava is a sweet dessert! However, I did my best to keep the sugar in check here and was told by everyone who tasted it not to reduce it further. I lightly toasted my nuts (350 degrees on a large tray, 8 minutes, then cooled) before using them here for best crunch and flavor. Make the dough: In the bottom of the bowl of a stand mixer, whisk together butter, milk, yeast, sugar, eggs, and vanilla until smooth. 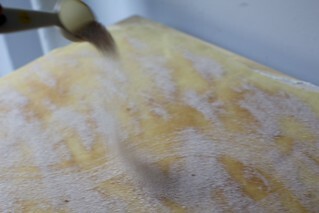 Add flour and salt and use dough hook to bring the mixture together and knead on low speed for 5 to 7 minutes. Transfer to a greased bowl, cover tightly with plastic, and set aside for 1 to 2 hours (until about 1 1/2 times the original size; it doesn’t usually fully double for me, and this is fine) in a warm spot or overnight (and up to 2 days) in the fridge. If you’re chilling it in the fridge, you’ll want to take it out about 1 1/2 hours before using it so it has time to warm up again before rolling it out. Meanwhile, make the fillings: Combine cinnamon and sugar in a small bowl and set aside. 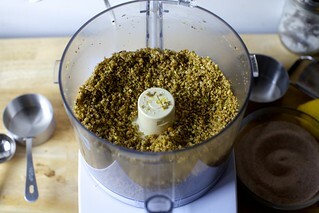 In the bowl of a food processor combine the nuts, salt, vanilla, zest, and any other flavorings you plan to use until finely chopped but not like a powder or meal (think: couscous, or use my photos above as guidance). Set aside. Prepare pan(s): Coat two 9-by-4-inch loaf pans (although slightly larger or smaller will work here too) or one tube pan with butter or nonstick spray, and line the bottom of each with a rectangle or donut-shaped ring of parchment paper for extra security. Assemble babka(s): On a large, well-floured counter, roll out dough until it is about 24 inches wide (the side closest to you) and as long in length (away from you) as you can when rolling it thin, likely 12 to 14 inches. Dab last 1/2-inch (the edge furthest away from you) with water. Brush remainder of dough with melted butter. Sprinkle evenly with cinnamon sugar. Set aside 2 tablespoons of ground nuts and sprinkle the remainder over the cinnamon-sugar. Roll the dough up with the filling away from you into a long, tight tube. Seal the end to the roll as best as you can. I find it much easier to slice this roll neatly in half by transferring it to a large, lightly floured tray (bending it into a U-shape is fine if you’re trying to keep it in a single rope) and freezing it for 10 to 15 minutes, until firmer to the touch. Shape your babka(s): Trim last 1/2-inch off each end of log. Gently saw the log(s) in half lengthwise (I use a long serrated knife) and lay them next to each other on the counter, cut sides up. Pinch the top ends gently together. Lift one side over the next, forming a twist and trying to keep the cut sides facing up (because they’re pretty). Don’t worry if this step makes a mess, just transfer the twist as best as you can into the prepared pan or pans. (An extra spatula or set of hands can make this lifting easier.) If you find it too pesky to make the single ring with one twisted rope, you can do it in two pieces, as I did, doing your best to tuck and twist the ends around each other. I know you won’t believe me, but even if it looks like a total mess right now, even if your twists do not fill the pan, the dough will fill in any gaps by the time it is baked and will also look gorgeous once baked and glossy. It’s impossible to make this look ugly; I honestly tried my best and failed. Let proof again: Cover the pan(s) with plastic wrap and let them rise in a warm place for about 45 minutes. Heat your oven: To 350°F. Bake babka(s): Sprinkle babka(s) with reserved nut mixture. Bake for 30 to 40 minutes, or until the tops are a deep golden brown. 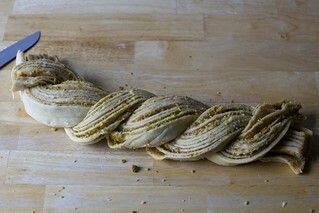 Baking times will vary due to size and number of twists. There are two ways to check for doneness: 1. The internal temperature will reach 185°F. 2. 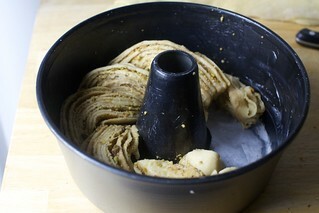 A skewer inserted into an underbaked babka will feel stretchy/rubbery inside and may come back with damp dough on it. When fully baked, you’ll feel almost no resistance. 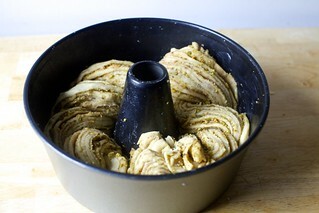 If you babka needs more time, put it back, 5 minutes at a time then re-test. If it browns too quickly, you can cover it with foil, but I don’t expect this to be necessary here. While babka(s) are baking, make syrup: Combine honey, water, and a pinch of salt in a small saucepan and bring to a boil. Reduce to a simmer and cook until reduced by 1/3 (can eyeball it). Pour in a spouted bowl, if you have one, or just have a spoon and pastry brush nearby. As soon as the babka(s) leave the oven, pour and brush all the syrup over babka(s) — or leave a 1/4 cup behind for serving. It will seem like too much, but will taste just right — glossy and truly like baklava. Let cool until lukewarm, then loosen babka(s) from sides of pans with a knife and transfer to a serving plate, patting yourself on the back for putting parchment paper at the bottom of the pan and making this easier. Serve lukewarm or at room temperature. Store babkas: At room temperature for 3 days, or up to a week in the fridge, and a month or longer, triple-wrapped, in the freezer. I find most babkas not as great on the second and third days, but this recipe was the exception. Day three, currently, might be our favorite so far. Other than dividing an egg, any reason why a half recipe, baked in one loaf pan, wouldn’t work? Make two and freeze one for later! I made this as a half recipe (one loaf) and it turned out fine! On the roll step, I rolled it to about 12″ wide (rather than 24″) to get enough rolls in on half the dough. This looks amazing! I always need new awesome sweet bread ideas. Hi Chelsea, It’s under “shape your babka”, 2/3s down in the first paragraph. This stopped me in my tracks – it’s absolutely stunning, Deb. any suggested fillings as an alternative to nuts. looks delicious!! Poppyseed or sesame seeds might work. Peanuts instead of tree nuts? My mom makes baklava with pecans & walnuts, sometimes with almonds also. Make the chocolate babka instead! Re: your wobbly cart on your IG story – you may just need to tighten the bolts/screws/whatever is holding it together – hopefully you don’t need a new one! Dumb question… do you plate it right side up or upside down (like with a bundt)? If it’s right side up, what’s the best way to get it from point a to point b given all the syrup stickiness? Thanks!! I am using a tube, not a bundt, so I don’t invert it, i.e. I plate it the way it bakes. So pretty!! I am tempted to buy a tube pan but not really practical as I mostly bake for just me … still – what a great thought to shape it like that! I just bought one for a whopping $9.99 at HomeGoods. It looks decent – let’s see how it works! I improvised … used a springform pan and wadded foil into a ball for the “tube” :) Not so much the $$ but storage. Still, we have a new Home Goods, so thanks for the info! Is this possible without a stand mixer? I’ve made the chocolate babka many times without a stand mixer. You just have to be patient and strong. Yes, you can. It’s a lot of kneading and the dough is sticky and messy but please resist adding more flour (will make things tough and dry), just scrape up whatever sticks. It can be done. I wondered the same thing, no stand mixer and my hands aren’t as strong as they used to be. So I Googled kneading dough in a food processor and I’ll try that. Obviously it won’t need 5-7 minutes, but I’m thinking maybe half or 3 minutes. Really excited to try this. I just took this out of the oven and WOW – it does not disappoint! The look, the smell, it’s AMAZING. I don’t think I’ve ever made a SK recipe the minute it was posted, but this was irresistible. And I’m thinking baklava babka french toast tomorrow!!! Oh you genius with the French toast! I hope it turns out as well as it does in my head! Wow! Glad you got through the recipe so quickly. If rosewater is not your thing but you have access to it, orange flower water is amazing in the syrup. Gives the special, floral notes with a more citrus aroma than the soap/perfume associations rose can have. My grandmother used it in her baklava-like almond paste cookies called cigars. Thank you — I was drawing a blank trying to think of it. Will add this suggestion. My baklava has half a cup of orange juice in with the honey plus more sugar, so I just substituted some water with orange juice. It’s in the oven right now! If I hadn’t made the chocolate version an unaccountably large number of times, I’d be nervous at how ugly it looks. But you’re right; it always turns out gorgeous! Thanks for the Sunday project! I made this today and it’s delicious! Could not resist a Saturday baking project that looked this incredible. Mine took closer to an hour to bake all the way through in a tube pan, but I kept checking the internal temp as per your suggestion. Thanks Deb, and Happy Holidays! Yes, mine took nearly an hour too (also in a tube pan). I’m still waiting to taste the finished product and hoping I got it right, but at 40 minutes it was definitely still raw inside. I’ve had that sprinkle bakes pull apart bread bookmarked for years. Every holiday since I left the East Coast I look at it (bc I miss fresh baklava). Every holiday I’m swamped and go for something easier. This holiday I’m on maternity leave and have free time but am forced to be soy/dairy free bc of my baby. SO sad. So, so sad. You could still make it, but with dairy alternative milk and butter. That’s what I do with all my baking. I find a lot of spreads have a strong taste that I’m not so keen on, but if you can get a dairy free baking block (like Stork in the UK) or make your own butter (not as hard as it sounds) you’ll be fine. Also as this is but based, almond milk or hazelnut milk could be great! I had to be dairy and soy free for 8 months for my little one, too. I found that coconut oil worked well in place of butter. Almond milk works for a low-fat milk replacement, and canned coconut milk works quite well in most recipes in place of cream or whole milk. You could totally try it! Hi Deb, this sounds just great we love Baklava, but normaly it is too sweet. I will try it after Christmas. I live in Germany and love to travel, cook, and bake. Great Blog thanks for the recpies. Merrry Christmas and a Happy new year. This is now my Christmas Eve bake, and if not Christmas Eve, will be Boxing Day. Thank you so much for this inspiration, and Merry Christmas to you and yours!!! Thank you for the great recipe, Deb! I’ve never cooked Baklava Babka yet. But I think this is a delicious dessert and I will definitely make this in the nearest future and will tell you about the results! Now I am kind of sad that I just made Molly Yeh’s amazing lemon olive oil cranberry cake for Christmas Eve – but only kind of because it is good – and thankfully my birthday is on the 27th so I will make this beauty here very, very soon. Looking forward to it. Check out his Pieroganoff. (Not an add, just really like the site). And, finally, what a colorful, beautiful photo of your family! And that is all. Thank you. Oh, my … I looked at the Pieroganoff recipe, plus a few more … some fun mash-ups there! I used a springform pan. Mine does not have a tube, but I improvised by wadding up foil into a ball. I think I know the kind of tube-springform you are talking about and it should be fine! What an awesome-looking recipe! Can’t wait to try it. It reminds me of potica, which is Czechoslovakian nut bread. Could be another fun recipe to try! You can trace a tube pan with pencil on a piece of parchment paper and then cut out the ring to fit into the bottom of the pan. I did spray the inside of my pan as well (it also helps the paper stay down) – I don’t think it’s essential, but why worry that your babka will get stuck inside with all that honey syrup after all your hard work! I made this immediately upon seeing the recipe, and it is amazing! I only had one package of (active dry) yeast in the house and wasn’t going to wait to buy more, so I only made one rectangular loaf (but used the full package, rather than measuring out 1.75 tsp). I used a mix of walnuts and pecans (again, whatever was in my house) and orange zest, and the orange zest has a huge impact on the aroma (in a divine way). It took about 42-ish minutes to bake – at 30 minutes there was visible raw dough still in the center. I didn’t trim off as much as she recommends at the ends, so as a result my first slice wasn’t very swirly inside, but the swirls became more pronounced once I kept cutting (and eating)! I am inspired to make this for Christmas Day brunch. If I make everything the night before, up to the point of rolled out and assembled in pan ….do you think I can stick it in fridge after it rises the second time and then bake it next morning after it comes to room temp? Where can I buy the rose water or orange rise water? You can find those at any Middle Eastern grocery store. I found rose water at sur la table, if you happen to have one nearby. Smitten Kitchen recipes have always had an option to print. If you scroll down to the very end, above the “like this post? Subscribe for more” section is a section that says “do more” with icons to print, email, or share on FB etc. The printer icon always works for me on both laptop and phone. Alright, this looks like way too much fun not to make. I’m going to go crazy and make this for the neighbors, which means I need 3-6 “small” ones. Of course, the store was out of mini loaf pans, so I’m going to try mini rounds. I’ll report back about how much I curse myself! Alright – it worked! I made everything as stated, but instead of making one ring or 2 loafs, i took about a twist and a half, and formed it into the small mini rounds. I used an instant read thermometer to figure out baking time (that is brilliant by the way! As someone who is always nervous that I underbake everything, having a temperature to aim for was perfect!) So far, the neighbors are happy. Thank you! Can I use my sourdough starter? If so, how? Last night (Sunday), I mixed a “sweet stiff starter” : 90 grams white flour, 20 g brown sugar, 25 g active (fed) starter, 40 grams water. This morning, it was nice and bubbly so I went on. I backed out the flour, liquid, sugar amounts from the starter so the remainder of the ingredients: 482 grams flour, 130 grams sugar, 1/2 cup milk and I never buy unsalted butter so I backed off the salt to a pinch as well. I mixed all except the butter, then let things rest for an hour, added the butter, mixed (kneaded in stand mixer) and then put the dough in the frig. My plan is to take it out about 6 p.m., let it warm and about 8 roll, fill and shape. Then back in the frig and I will bake direct from the frig in the morning. The timing of the above is how I do cinnamon rolls and other cinnamon roll type things with this kind of dough. I think it would work just as well to do an “all room temp” bulk, shape and rise but I like the above method and it allows and early morning bake. if making this tomorrow for Christmas morning, at what point would you stop the prep, after shaping and before the last rise and then pull it out again to rise one more time before baking? I’m just baking them today, wrapping them after they’re cool, and resting over night. For some reason I had some trouble with this dough coming together like it does with the dough for your chocolate babka recipe? Any reason that dough couldn’t be used in place of this since I’m incompetent with this recipe tonight??? Yes!!! Will definitely be making this to add to our baklava game! :) Looks delicious Deb. Thanks for sharing. this was a total HIT! It is not as difficult as it seems, and if you have an afternoon free its totally achievable with not too much hands on time (excpet if you’re shelling the pistachios yourself, what an ordeal)! It’s so intricate and incredible looking and tastes so so so so SO amazing. Followed the recipe exactly and I had to bake mine for quite a bit longer (made it in two loaf pans). They both ended up needing 50 minutes or so. Covered them with aluminum foil at the 30 minute mark. I think I’m gonna try this out, many thanks for the recipe and merry christmas! I’m in the middle of making this (currently waiting for the oven to preheat), but wanted to mention that 1/3 cup of melted butter seemed like way more than I needed for brushing, so I didn’t use all of it. Maybe only half? (And I felt like I was brushing it on pretty generously.) I’m hoping this wasn’t a terrible mistake on my part — any thoughts? Thanks, Deb! I am SO going to make this!! Just one question — is there any reason why 3/4 c each of honey & water are called for only to reduce it by 1/3 – can’t I just use 1/2 cup each and dispense with the reducing? I was here and reading comments and know the answer so, although I’m not Deb … the reason for a reduction (sauces and here a syrup) is to thicken whatever and intensify the flavors. 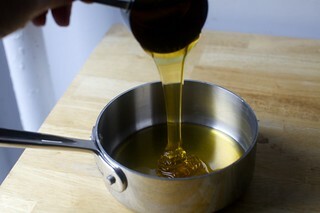 The water/some liquid in whatever you are reducing, evaporates and thickens to a more syrupy sauce. And doing it by cooking it down enhances the flavor vs just using less. I made this last night, and it didn’t rise nearly as much as I thought it would, even after 2+ hours for the first rise. It also took forever to bake and didn’t come close to filling the tube pan. Maybe I just need fresh yeast? I’ve had mine for a while, but mostly I bake 100% sourdough bread when it comes to yeasted items, and the yeast lives in the freezer. It smells fabulous, though! Will cut into it later tonight at a party. I made this yesterday for Christmas dinner, and while it baked beautifully and smelled delicious, it did come out quite dense. I let it rise in a warm place both times so I’m not sure where I went wrong. Flavor was great, and I’d definitely try making it again when I have a free afternoon, but maybe with a touch less flour, and a more controlled proofing environment. Great recipe otherwise, though! I made a sourdough (natural leaven) version. 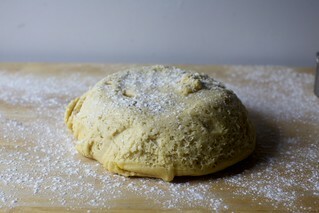 I used a sweet, stiff, starter of 90 g flour, 25 g starter, 40 g water and 20 g brown sugar. After the starter was bubbly, I added the remaining ingredients (backing out equivalent amounts of flour, sugar, milk to accommodate what is in the starter). I mixed with a stand mixer, then into the frig for 24 hours. I rolled, filled and shaped per the recipes, let rise at room temp (68F at my house) for an hour and baked. My dough was puffy and so the result looks a bit different – less baklava like, but YUM!! This was so much fun and I’m glad it freezes well as little goes a long way. Oh, mine was 176F at 30 minutes and not very brown. Another 10 minutes and it was 190 and browned nicely. I don’t have a tube pan, but wanted the pretty round so used a springform pan with some foil wadded in the center to act as the tube. Worked well! I made this a 2nd time … all same as first except reduced sugar by 3 T (dough) and used 100 g of whole wheat pastry flour for equivalent amount of white flour. Still YUM and plenty sweet in spite of less sugar AND the whole wheat. Will try a bit more of WW and another 2 T less sugar next round. I sliced and froze what was not gone/shared by day 3. Those slices were excellent thawed slightly in microwave and/or counter top. I just love this – pretty and delicious and most of the time is wait time vs hands on. Wow! Just….wow!!! We LOVE baklava at my house, and to turn it into a bread?! Brilliant. This is getting made before the week is out. I have never made a single thing from your site we haven’t all absolutely loved! I refer people here all the time! Made this for xmas day breakfast. Made the 2 loaf version and gave one loaf to our xmas Eve dinner guests for their breakfast and they were thrilled. Didn’t add the honey syrup and the bread wasn’t dry the first day but was a little dry on boxing Day. Still very good. Held together well and looks amazing. I made the parchment long on the ends to give me something to pull it out of the pan with. I made this and it is yummy. I added the butter into the nut mix in the food processor by accident. I still brushed the dough with butter but used less. It came out great, took 45 min to cook. Thanks for giving the temperature because the probe was coming out gooey at 180 and it was done if not over done. This looks amazing! My mom used to make something similar. It’s a Jewish-Hungarian pastry called kindel and it has baking soda in the dough as well as yeast. Whenever she made it, i’d call it hungarian baklava. It was made into a roll and semi sliced while baking and then we broke them apart after baking. Has anyone tried to make a gluten free version of this? Made this yesterday and it is a huge hit! Deb, 1/3 rd cup of butter is 75 grams not 95. You are correct! Sorry about that, now fixed. well, YUM. This doesn’t scare me at all – one of my superpowers is yeast breakfast buns and I’ve fiddled with a baklava version (I drizzle it with tahini and honey) but I am totally drawn to your honey syrup concept. Will try these. Also, I made your petit fours cake for our Christmas feast (from your new cookbook) and it was DIVINE – delicious and beautiful! So impressed. This looks amazing. I’m so making this! I took this Baklava Babka to a Big Fat Greek Christmas. It went down a treat, and is the perfect mash-up of cultures. My only problem is I now have to make one for home consumption! P.S. I made my dough in a bread machine and left it to rise for about twice the time it would take if it had been made by hand. This turned out very dense and un-risen for me, but that may have been my fault — I put it in the fridge overnight after shaping it and then took it out about 40 minutes before baking in the morning. I’ve done this successfully with other enriched dough recipes, but maybe it can’t be done with this one? Or did I need to let it sit at room temperature longer before baking? Flavor was great though. For this one, and other buttery doughs (doughs with oil are less problematic, because oil doesn’t harden when cold) I tend to add on an hour of warm-up time before rolling it, or at least get it back to close to room temperature. Then, pick up where you left off, including if it needs more time in that proofing cycle (and hasn’t done it in the fridge). Would rapid rise yeast work for this? I could not find instant at the store. I *thought* they were the same but am now questioning what I know. I’d say yes. Just keep an eye on it, in case it is, indeed, more rapid. Looks like you left out what to do with the lemon zest in the instructions, but just went back and saw in your Instagram story that you put it in with the nut mixture into the food processor. Just figured I’d let you know! I have the dough rising right now, but I’ll say upfront that the weight of flour required was not enough. Normally I use my dough machine but I’m traveling right now. First time using the dough hook on the KitchenAid. If I had not added extra flour, the dough would not have kneaded . 2/3 of it clung to the dough hook and the other 1/3 just sat at the base of the bowl and after several minutes still had not been incorporated into the mass hanging on the hook … and I weighed everything. There is at least a full cup more of flour and it was still sticky, but at least manageable. Everyone has different conditions …, but I made the recipe by weight except for butter and sugar. I had no issue with mixing (Kenwood mixer 5 quart with dough hook). It was very wet (and loose? ), but it came together and kneaded into a cohesive dough. I used a sweet, stiff sourdough starter in lieu of yeast but backed out the amount of flour, sugar and liquid in my starter so my overall totals were exact by weight. Now, method wise, after mixing I put it in the refrigerator for 24 hours vs letting it rise and continuing. Additionally, I make high moisture sourdough and ciabatta frequently so am used to handling wetter doughs. Also, it is not a huge amount of dough, even in my 5 quart bowl. So, this came together really well. I don’t have a dough hook, but it kneaded together fine (with the help of a pastry scraper at first.) Rises went fine, braided easily. I did two single loaves, and agree baking time was closer to 40-50 min than 30. The other thing is that the second loaf was very dry in <12H, despite wrapping it. It still tasted good, but definitely lost moisture really fast. Suspect that might be due to the extended baking time/5 extra oven door openings to check done-ness. Would make a bomb French toast, though. Would recommend a) foil covering to protect the top and b) not checking until 40 min, or at least that's what I'm doing next time. 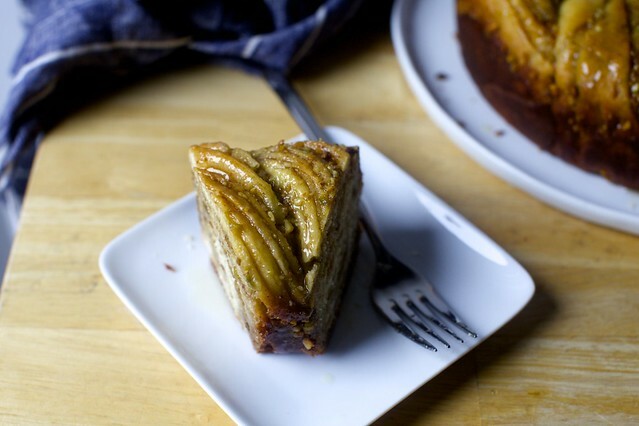 Can you say it three times fast: Boy our buddy Deb bakes the best baklava babka! I’m in new orleans and it’s almost 12th night. Thinking about making this into a sort of king cake. Would this just spread into a mess on a baking sheet? Do i need a tube pan to get that great round shape? This looks beautiful and delicious. Thanks for the individual pics of the steps…I need those!! I love baklava but haven’t seen anything like this type of babka with such specific directions, I feel like I could try this. I’m excited to give it a go. 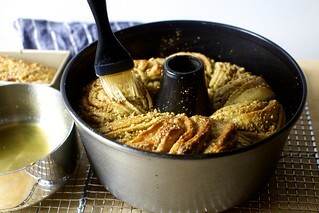 Do you ever use bread flour for babka? Seems good for the structure but don’t want it to be too tough. I don’t for babka, no. I don’t think it’s necessary. I made this earlier this week and shared it with friends and family. A couple of friends told me it was the best babka they have ever had, and 6 of us ate almost an entire loaf in one sitting. My dad LOVED IT even though he usually doesn’t like babka or baklava. I will definitely make it again! One thing I wish there had been more clarity on in the recipe was a rough time estimate of how long it takes the honey syrup to reduce. I had no idea whether it was going to be in the ballpark of 5 minutes or 25 minutes. I was patient and it worked out fine, but it would have been nice for planning ahead. I agree, a rough estimate would be nice to have! Deb – If you make the two-loaf version, do you still put the syrup on one that would be eaten the next week and stored in the freezer right out of the oven? I’m so excited to make this! I had the same question, so I’d love to know if you tried it and what you did! Heading to the market to get the ingredients . Gonna try this tonight. It looked and tasted amazing! Just served this baklava babka at a baby shower and the ladies gobbled it right up! Thank you. 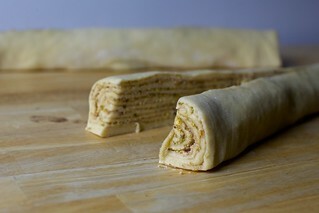 When I sliced the dough log in half lengthwise, all the layers just flopped over and unfolded! So very difficult to get it to stay together, even with the 15 minutes In the freezer. I don’t know what my issue is, I weighed all the ingredients. Hopefully it will still turn out ok. Can’t wait to try it.